August 9 marks one year since police in Ferguson, Missouri, shot and killed unarmed teenager Michael Brown. With the anniversary looming this Sunday, Ferguson Municipal Public Library Director Scott Bonner is hoping for the best while preparing for the worst. 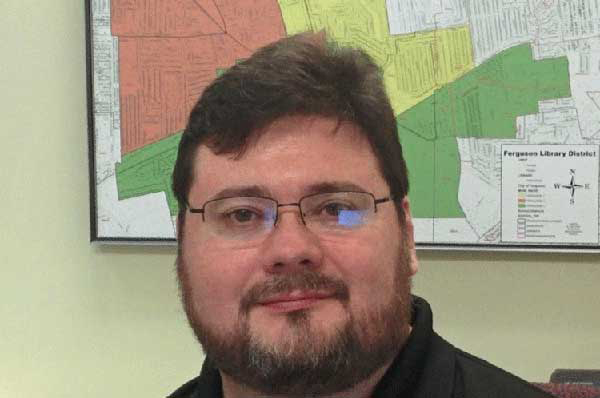 Bonner, who has received awards for providing a safe harbor for residents during the Ferguson protests, spoke to ALA about how the past year has changed his library. ALA: How are you feeling about the anniversary? Just trying to gather information: talking to people, paying attention to Twitter. Making sure everyone knows that we’re still here and still open for people. When the shooting happened a year ago, you had been on this job for only five weeks. Now you’re preparing yourself for a possible similar situation, but you have so much more knowledge and experience than you did last year. What are you doing differently? I know more about the patterns that the protesters and the police use, so if anything happens, I’ll know what to expect. I also have a lot more networks with the community. I’ve had a lot of conversations over the past year—with community activists, police, city officials. It was hard to make those connections when the original protests broke out, because I couldn’t go out into the protests and talk to people. It was important for me to be neutral. We welcome every human being in Ferguson, and if the library is seen as partisan, some people won’t feel welcome anymore. 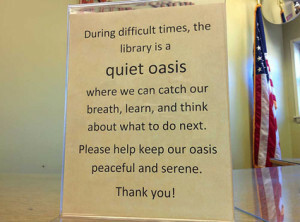 A sign in the Ferguson Municipal Public Library during last year’s unrest. How do you feel your library has changed in the past year? We are far, far more programming-oriented. I knew when I took this job that I was going to try to make the library more responsive to the community. I didn’t know we would have to do it at lightning speed. How is your budget situation now? Our budget hasn’t changed; we are still about $400,000 a year. The difference is that, last fall, we got a one-time windfall of $450,000 in donations. Immediately after that, the board formed a planning committee, looked into investments to stretch the money as far as we could, and vastly increased our programming budget. The donations allowed us to hire a second full-time staff person, our children’s librarian, who started in February. And some of it is going to improvements that are long, long overdue, like replacing our carpeting, which was from the 1990s. Where are you putting your new programming efforts? In two directions. First, the community has made it clear that they want an opportunity to share their stories without a media filter. So we are working on two programs. The first is StoryCorps @ your library, which lets people record a 40-minute conversation with a friend that gets archived in the Library of Congress. We’re also in the early stages of creating a teen newspaper. We’ve tentatively named it the Ferguson Phoenix, but we’ll see what the teens want to call it when they’re running the show. Our other big push is toward STEM/STEAM programming. We have been talking to HP, Boeing, and the (St. Louis) Science Center about different projects. This Thursday, Boeing is doing an invention night, and we are also hosting a build-a-computer program. How has the past year changed your perception of your community and your library’s role in it? It has magnified my existing perception of what libraries are for and what they can do in a community. It’s given me a chance to take the community library idea and try it in hyperdrive. Our challenge now is, how do we transition back into normal mode? What would “normal mode” look like for you? You know, a half-dozen programs a month, on the type of topics you would expect at a library: book clubs, gardening, financial literacy. But part of me thinks, why go into normal mode? Maybe there is a benefit to staying more responsive. Not like last fall, when we were holding six or seven programs a day, but more like four or five programs a week. I’d like to have something available for people on most days we are open. The actual anniversary of Michael Brown’s shooting is Sunday. Does the library have anything planned? We haven’t planned a lot that is specific to the anniversary. We make it a point to say our doors are wide open. Being more vocal than that could put us at odds with various factions, and that’s not what we’re here to do. One thing I learned last year is that, if things get hot, we’re going to have plenty of programming to do, right then and there, so it’s probably good that the schedule is open right now. Besides, it has been conspicuously harder to schedule things for this upcoming week. Any other insights you’d like to share from the past year? Do not wait for trouble to come before you make plans for trouble. When Michael Brown was shot, I hadn’t made contact with most of the service providers and nonprofits in my area. I had to do it on the fly. It would be useful for any library director to learn about the available services, make an initial contact, try to do a little program with them so you start to work together. Then if a tornado hits or whatever, you know where to go. 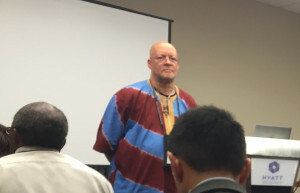 Read a blog post about Bonner’s presentation at the 2015 ALA Midwinter Meeting. Listen to the audio from his talk. Bonner’s presentation was offered as part of Libraries Transforming Communities. 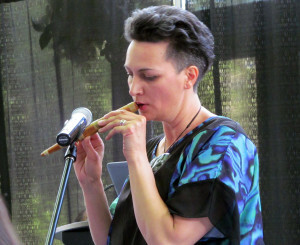 This interview originally appeared at Libraries Transforming Communities. SARAH OSTMAN is communications manager with ALA’s Public Programs Office.